Colorado's Grand Mesa Scenic Byway leads through old-growth forests, aspens, meadows and so many lakes you'll lose track. That's Grand Mesa in a nutshell. A must-see on the world's largest flat-topped mountain is the Lands End Overlook, which clings 6,000 feet above the valley and takes in views as far-reaching as the Sneffels Range near Ridgway. Stop along the picturesque Grand Mesa Scenic Byway in Cedaredge, where the Grand Mesa's southern slopes meet the Uncompahgre and Gunnison River valleys. In addition to views of orchards and stately groves of white ash, this hospitable town offers cozy, rustic rooms and access to dozens of trout lakes. Late fall also brings bushels of apples that hang heavy on the town's trees. To celebrate the harvest each October, Cedaredge puts on Applefest, a celebration of the town's most abundant fruit. 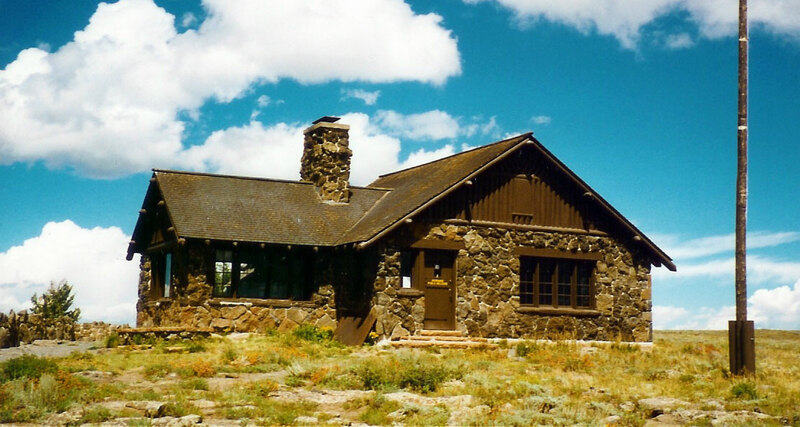 • The byway veers west just before the town of Skyway, and travels to the top of the Grand Mesa. Looking over the horizon, it's hard to tell if it's the more than 6,000-foot altitude or just the views of Rocky Mountains and evergreen forests that take your breath away. • Returning down the mesa, then heading north, you'll reach the tiny town of Skyway. Tucked into the Grand Mesa National Forest, Skyway is settled by those enchanted by pristine nature and the outdoor pursuits it provides. Head east of town to visit the well-frequented Grand Mesa Lakes. • North of Skyway sits Powderhorn, one of Colorado's most down-to-earth ski resorts. It's in this mountain range that some of the softest snow in the state falls. This ski resort prides itself on natural runs, long days and short lift lines. For the more fearless, tree skiing and powder runs are ample and uncrowded. 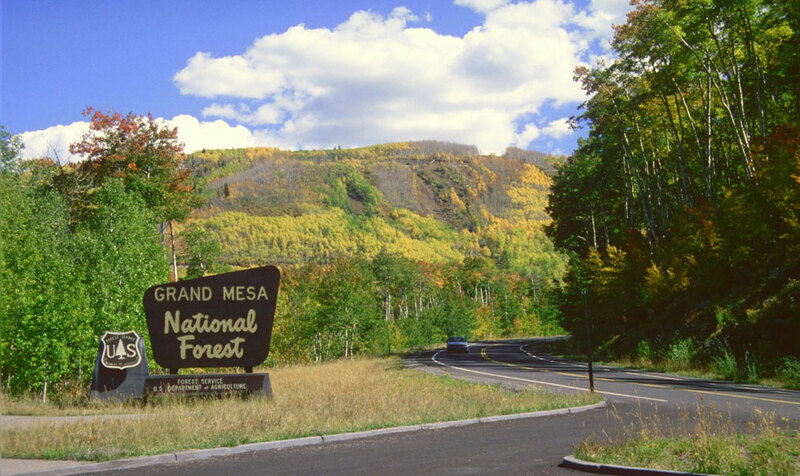 • Mesa is the northern gateway to the Grand Mesa Scenic and Historic Byway. In downtown Mesa, a few cafes, gift shops and a country market supply travel necessities. Stop into any store for a brochure on Mesa's self-guided driving tour of the many old barns in the area. On the outskirts of town you'll find acres of open space and miles of trails. In addition, more than 200 lakes are buried within picturesque pine forests. The History: Check out the Cedaredge Welcome Center at Pioneer Town and pick up a historical brochure on the byway. Then head up Grand Mesa to Raber Cow Cabins and take a walk along the interpretive trail to learn about cow camps typical of Colorado's cattle industry. Colorado is home to 26 Scenic and Historic Byways, 11 of which are also federally designated America's Byways. Read about all 26 in our Quick Guide to Colorado's Scenic & Historic Byways or view our virtual Colorado Byways Guide. You can also visit the Colorado Department of Transportation's Colorado Scenic and Historic Byways site.